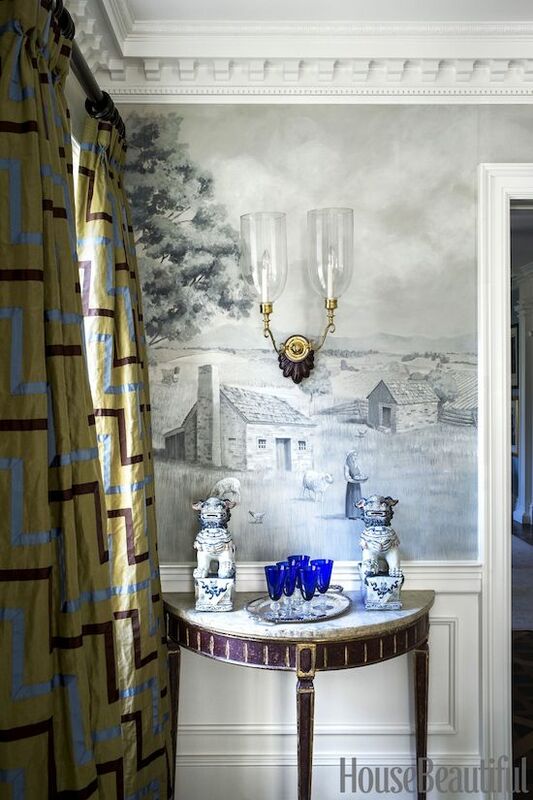 A lovely vignette in this dining room with a demilune table styled with cobalt blue glasses and a pair of blue and white foo dogs. I adore this fabric. Any idea where it comes from?